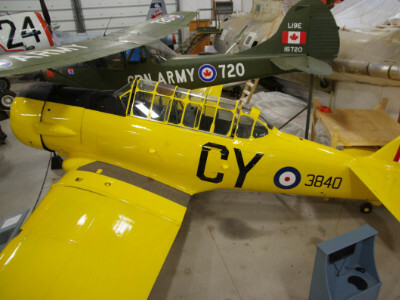 The Harvard, designed and built by North American Aviation, first flew in the 1930s. 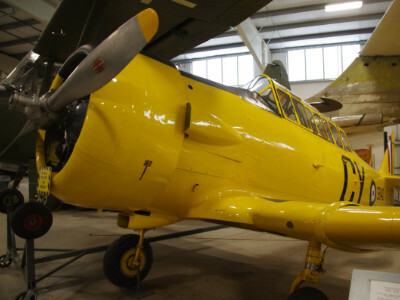 Harvards were used as an advanced trainer in World War II and for a number of years post-war. In Canada, many Harvards were involved with the British Commonwealth Air Training Plan. 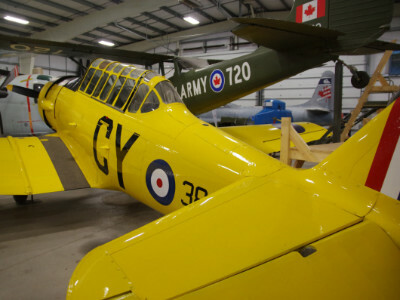 The Museum’s Harvard, on loan from the Canada Aviation Museum, is finished in colours as it would have been seen during the Second World War.